Last night NBC aired the first Together for Care telethon for Alzheimer’s Disease. The Alzheimer’s Foundation of America (AFA) conceived and launched this effort, which helps raise awareness of Alzheimer’s at a national level. Celebrity appearances and performances by Ellen DeGeneres, Morgan Freeman, Naomi Judd, Mario Lopez, Kirk Morrison, Donald Trump, Kris Allen, Brett Eldridge, Shontelle, Wilson Phillips, and Al Roker were interspersed with compelling stories on the struggles family members face in providing care for loved ones afflicted with Alzheimer’s. The AFA also sponsors a National Memory Screening Day, which is an annual event to promote memory health screening as a way to catch signs of early cognitive impairment that can lead to Alzheimer’s. 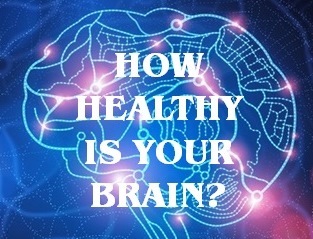 This annual event also serves the purpose of educating consumers and health care providers on the benefits of preventive memory health screening. I think the next (big) step is to move from a “special event” memory screening day concept to the routine, every day availability of cognitive screening in the physician’s office or community health clinic. If blood tests and other simple diagnostic screens are already routine in primary care settings, then adding cognitive screening is a logical step. There are some hurdles to get over to make this happen, however, including a lack of adequate cognitive testing standards. The use of computerized cognitive screening tests is probably the best solution to this problem, but this will most likely take a few years before the US health care system moves ahead on widespread implementation.